A rock and roll listening Brit who spends the afternoon drinking fresh mint tea in the backyard of the Bowery. My current vibe is very far from that. Embarrassingly far from that. I blame the fact that I work from home. My “work” uniform is now a pair of pyjama bottoms from 2009 and whatever t-shirt is cleanest — trust me, it looks as glamorous as it sounds. When I go out? It’s the same as it’s always been: denim shorts with either a silk cami or white t-shirt and flats. I’ve been getting bored. These looks no longer feel like enough. They feel totally uninspired. I need something to shake it up. 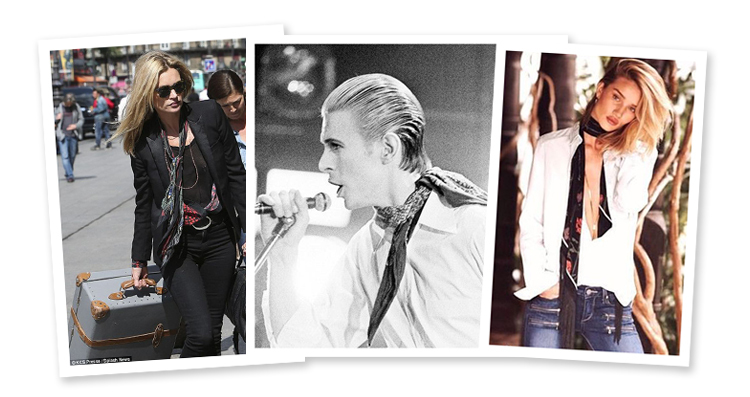 Enter the skinny scarf and the coolest brand for a skinny scarf: Rockins. Rockins is purely inspired by rock and roll. The whole inspiration comes from music. [The 1970s] must have been an incredible time to be part of the scene, when the electric guitar blew up like a bomb, leaving a thick layer of rock ’n’ roll across the entire planet, fuelled by a thirst for enlightenment and liberation. The 1970s had a profound and enduring cultural effect on us all. Pro tip: Rockins has flash sales throughout the year, sign up to their mailing list to find out when. Try to order directly from them if you can — they do free DHL shipping from the UK to the USA (this is rare!). They also have incredible customer service that will answer your questions within a few hours (this is even rarer!). How do I wear my skinny scarf? Skinny scarves work best with t-shirts that have a light natural scoop because it has to give your neck some space. Alternatively, you can’t really go wrong with a simple silk cami. I love wearing my scarf with my black slip dresses. A skinny scarf rolls it back 20 years from the 1990’s Spice Girls to 1970’s rock and roll. … and how do I tie my skinny scarf? You can’t always get what you want, but if you try a skinny scarf sometime you just might find you get that rock and roll edge you need. 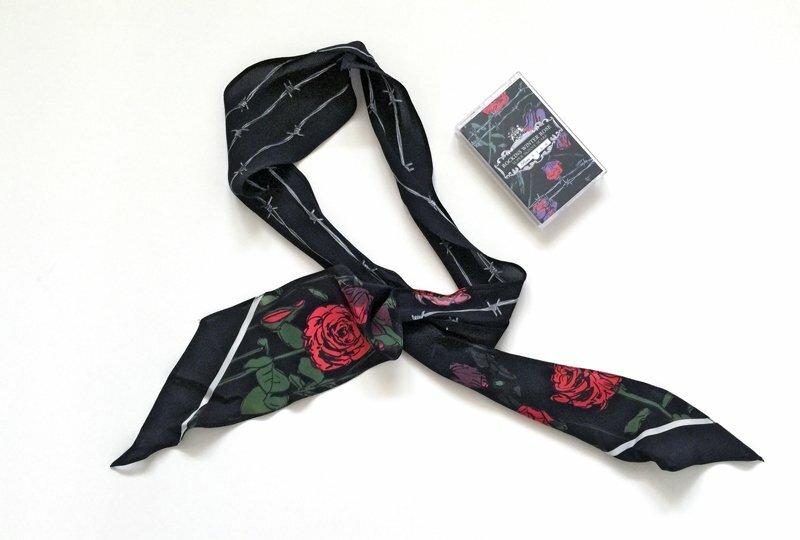 For best selection, check out Rockins skinny scarves on their website.